The Marvel Cinematic Universe is already a massive place, full to the brim with characters, but ever since the news first broke that the studio would be collaborating with Netflix for a series of TV shows based on some of the brand’s street-level heroes, fans have hoped to see some kind of crossover take place. 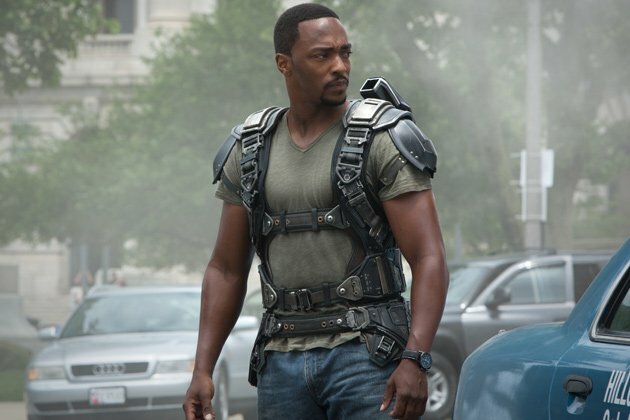 Unfortunately, Marvel head honcho Kevin Feige has repeatedly played down any plans for the likes of Daredevil or Luke Cage to one day suit up with The Avengers, and now, Anthony Mackie (Falcon) has also weighed in on the matter as well. Since Agents of S.H.I.E.L.D. first premiered, the heroes from the Marvel movies have been mentioned and referenced constantly, and that’s continued into the Netflix universe – although they don’t always use their actual names (“the big green guy” instead of The Hulk, for example). This is a courtesy the movies have never returned, however, much to the chagrin of many fans. Of course, just because Mackie doesn’t see it happening, doesn’t mean it never will (we heard the same thing about the Guardians of The Galaxy, after all), but even if something was to come together, all signs do point to us having to wait a very long time to see it. Tell us, would you like to have darker heroes such as Daredevil and the Punisher join the ranks of The Avengers, or do you think the tonal shifts would be too jarring? Be sure to share your thoughts in the usual place.